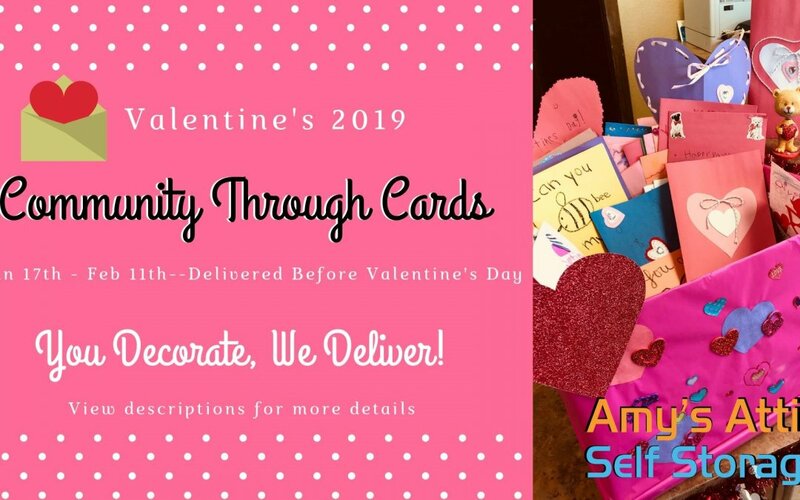 Join Amy in the Community for our Community Through Cards Valentine’s Day 2019, Starting Jan 17th through Feb 11th drop-off pre-made or handmade Valentine’s Day cards or create one on-site at participating locations. Cards will be collected and delivered to residents at local retirement communities and area first responders. All ages welcome to participate.